Wow.. it's gonna be 2011 in just a few hours! Wishing Everybody, Everydoggy and Everykitty and a big, joyful celebration tonight, and may all your dreams and resolutions come true in this brand new year! Most important of all, let's keep up the good work and continue our journey in fighting and upholding animal welfare. 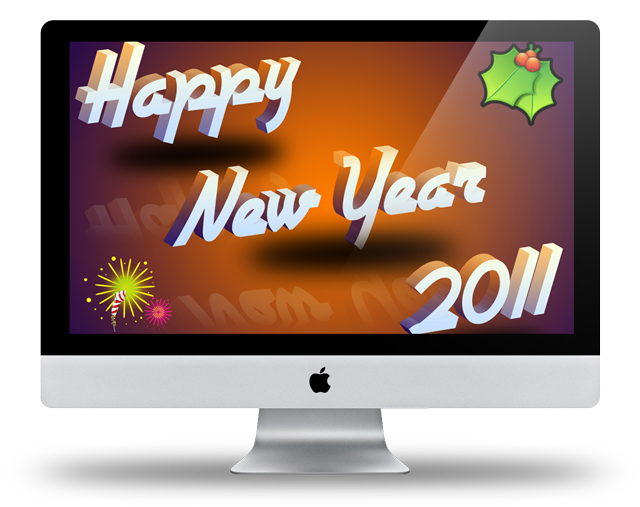 Wishing getting better for tomorrow and welcome 2011 new year. Last edited by Marcelleve; 01-01-2011 at 10:37 AM. Petfinder.my team's resolution has always been saving homeless pets, let's help keep it up this year a better one! By the way, lovely wishes from you Marcelleve. To you as well Adrian, Happy New Year!!! I am glad this New Year brought us happiness. Personally, nice gifts for my New year were two adopted furry babies and glad to be able to help my friends until we moved to new home which is my next target so I can help others as well. Miwako and Nefertiti welcome home and Happy New Year! Sending my warmth kisses to other furry babies like Miwako and Nefertiti out there...and again Thank you VERY MUCH to Pet finder for making a friend of mine happy more when she & fiancée adopted a puppy here and having Miwako as our additional family member. Please make sure your cats and dogs are neutered to avoid accident pregnancies especially before you sent it to boarding houses for pets and make sure your cats/dogs don't have any ticks/fleas/fungal/fever and just send your kitties with money but left without any word about your pet's condition or what food your pet is eating to the foster parent before you all take a happy vacation while your pet is suffering inside a boarding home. Money can't buy EVERYthing for your pet alone. BE MORE RESPONSIBLE PET OWNER THIS 2011. Plan your vacation well Happy New Year. Last edited by Marcelleve; 01-06-2011 at 09:53 PM. Glad to have you as part of our big family of humans and furry friends. There is still much to be achieved for the welfare of animals, and hopefully our community will stay true and motivated in this challenging mission. Looking from a different point of view, the animals have also given us humans a brilliant cause to unite ourselves regardless of age, gender, race or society status, and learn to be selfless and appreciate the precious lives out there. I toss to that!!! :D well said, Andy. I am honored to be part of our big family member esp. we all meet in one place , Petfinder.my.